We’ve just got back from a fabulous week in Taormina, Sicily. We’ve been before in 2012 and, I don’t know about you, I love going back to a place. I love already having a sense of the restaurants I really liked, which beaches were the best, where the best coffee was served… but also, it’s amazing how much more you see the second time around. So, what’s there to do in Taormina for a week? It’s well known that Italy has some of the best food in the world (my Italian husband argues it IS the best). Try a local pasta, such as pasta con le sarde (pasta with sardines, fennel, sultanas and pine nuts), caponata (aubergine stew) and cannoli (a pastry stuffed with sweet ricotta and candied fruit). Restaurants I would recommend are: Vineria Modi, Villa Antonio, Casa GioLi, Oliviero at Villa Sant’ Andrea and il Gabbiano (for lunch as it has an amazing view over Isola Bella). Al Grappolo d’Uva and Timoleone café, which both have an amazing ambience. Daiquiri Lounge is quite cool and trendy and the Hotel Metropole has stunning views from their terrace but is really expensive (€18 for an Aperol Spritz with nuts, olives and some fritta). Taormina is on the coast so there are plenty of beaches to explore. As with many beaches in Italy it can cost you a pretty penny if you’d like a lounger and umbrella (as much as €20 per person), however in Taormina every beach also has a public beach that is free. Top tip though is to buy a pair of diving shoes from a beach vendor (around €10 a pair) as a lot of the beaches are stones rather than sand and can be pretty painful to walk on. At Isola Bella try a boat excursion (€5 per person) which takes you to Grotto Azzurra – the colour of the water is phenomenal! There is definitely more to Taormina than just beaches. Take a short trip (by bus or car) to Castelmola, which is a medieval town above Taormina. Or, take a longer drive (about 40 kilometres) to Gole Alcantara – a botanical and geological park. It’s something to behold but be warned… the water is freezing! Visit the awe-inspiring Teatro Greco, which was built in the 7th century BC or take a trip to Mount Etna and see the volcano. I absolutely adore Italian ceramics and the south of Italy has some of the best. They are so colourful with such intricate designs and I try to always buy something – usually a bowl or something for the kitchen. I also like to stock up on dried herbs for cooking and you can find packets of them everywhere. Ceramics from the south of Italy. (L-R) a collection of plates, Trinacria (the symbol of Sicily) and a lion. Sicily is a deeply Catholic region and there are beautiful religious homages all around – pretty much on every street. If you go to Castelmola, look out for the tiny church in a grotto. We’re staying just outside of Taormina (in Giardini Naxos) for a week in October so this was super helpful! Did you hire a car or just use public transport? We’re hoping to get by without hiring one but don’t now how easy it’ll be to visit places without! So glad you found it useful! We hired a scooter but there were lots of buses so I don’t think you would have too much of a problem getting around. Enjoy your trip! The stalactite caves look out of this world and I love the sound of the sweet ricotta. I really want to go to Italy and visit the historical and cultural sites. 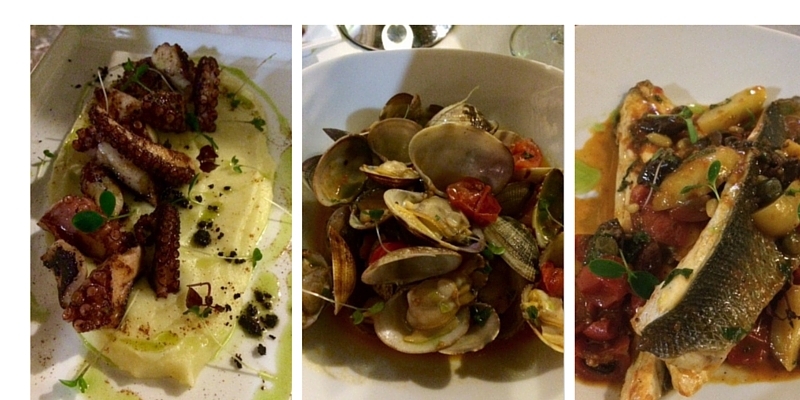 I have never heard of Taormina but after seeing your review I will put it on my bucket list! It’s fabulous, Jessica. You should definitely consider visiting it!